The Phillips FM320 UHF CB has the facility to be locked to a particular channel. This is controlled by the existence or absence of a number of diodes on the circuit board. I’ve been looking into this for a telecommand project I’m working on. I wasn’t able to find the information of how to do this anywhere else, but it was pretty straight forward to figure out. This post describes how modify the FM320 radio to set the nominated “NOM” channel. The diodes are IN4148. These are commonly available. The table below shows the effect of the diode link being in place. The diodes are listed from left to right as in the above photo and on the circuit diagram. Note that diodes have a specific polarity. Use the other diodes in this photo as a guide for the correct orientation if you are not familiar with them. Note that these are additive. If you have links in place for D34 & D35 you’ll get channel 30. If you need channel 22, then solder in the links for D35 and D41. Assembly (as they always said in the Gregory’s car manuals of my youth) is the reverse of the disassembly procedure. Posted on January 26, 2016 by I Bailey. This entry was tagged CB, FM320, modifications. Bookmark the permalink. 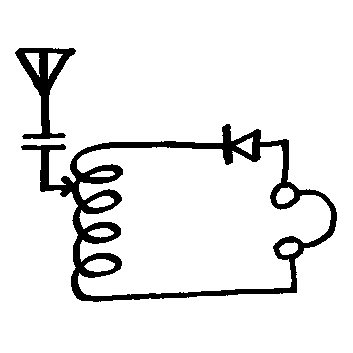 The PCB layout in the FM-320 Service Manual shows the Diodes in a Left to Right sequence of D41, D40, D34, D37, D35, and D36, (when viewed as per your last image) so they don’t match the sequence on the Circuit Diagram, or the sequence in the NOM CHAN SELECTION Table on the same Circuit Diagram. Perhaps a warning in your article. Your Diode In / Channel Table, doesn’t agree with the NOM CHAN SELECTION Table either. Your Table shows D40 / D41 with low values, whereas the NOM CHAN SELECTION Table shows them with high values of 10 and 20. Likewise your D34 / D35 have high values of 10 and 20, whereas the NOM CHAN SELECTION Table shows them with low values. Which is correct.